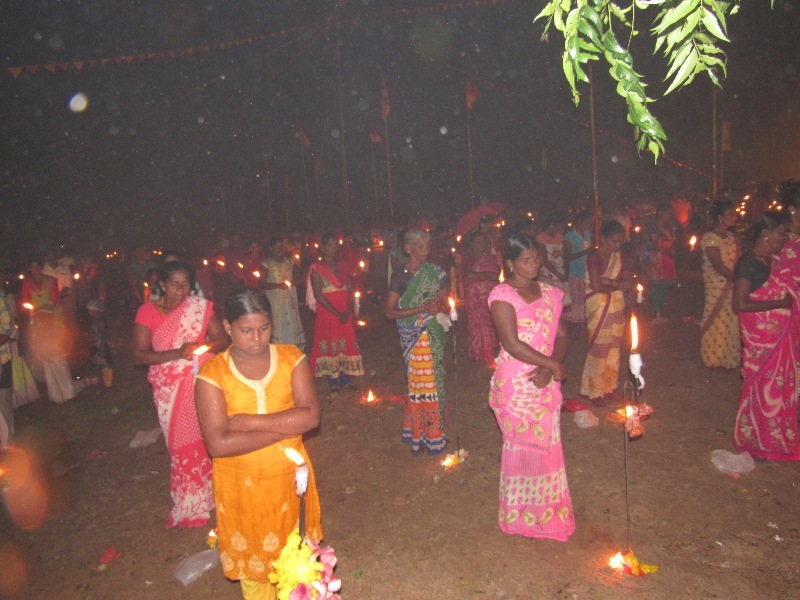 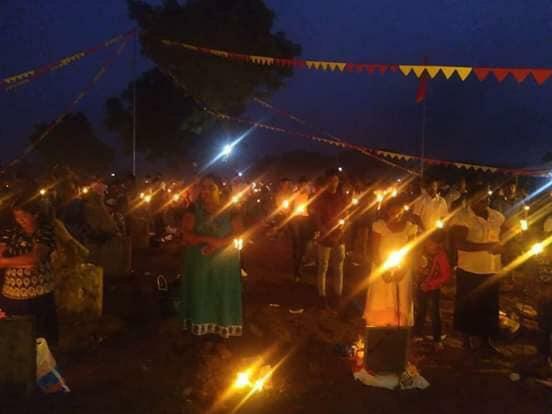 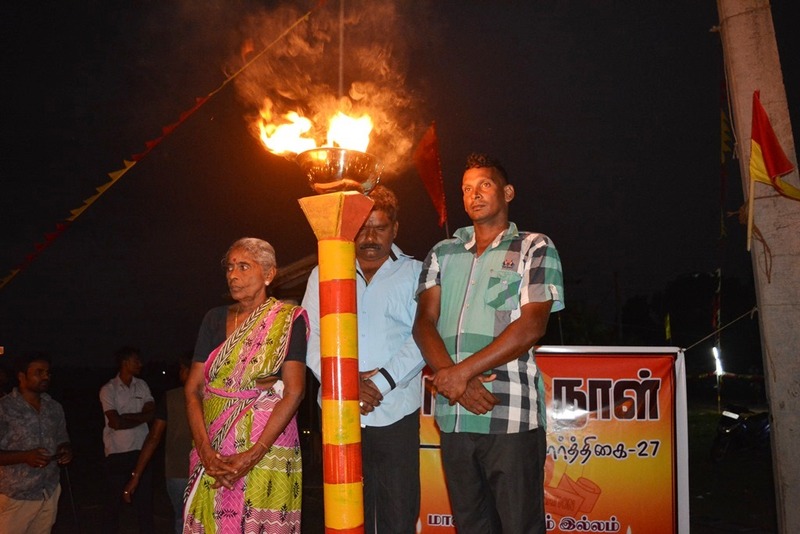 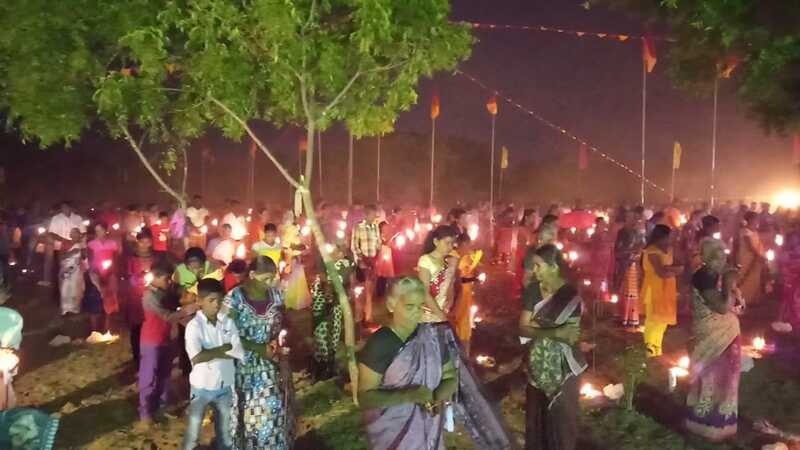 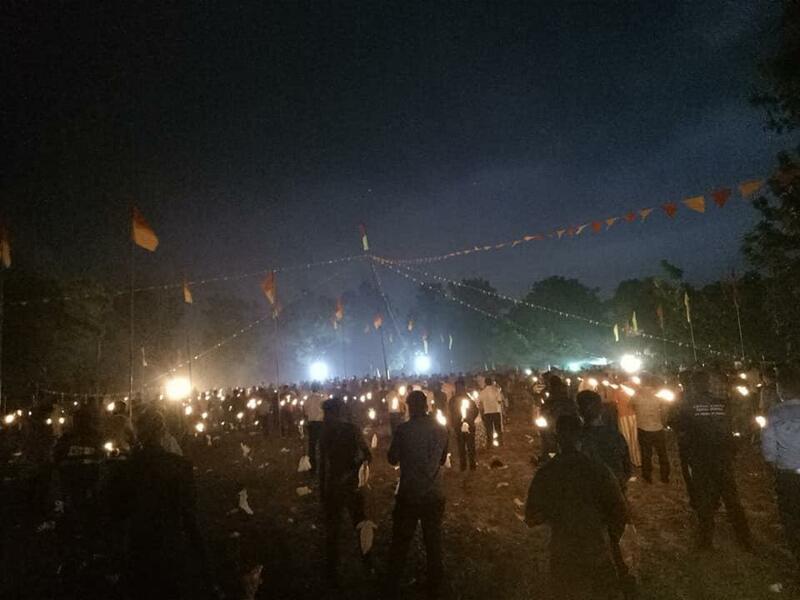 Thousands of Tamils commemorated Maaveerar Naal in Batticaloa at a number of public and private events across the district. 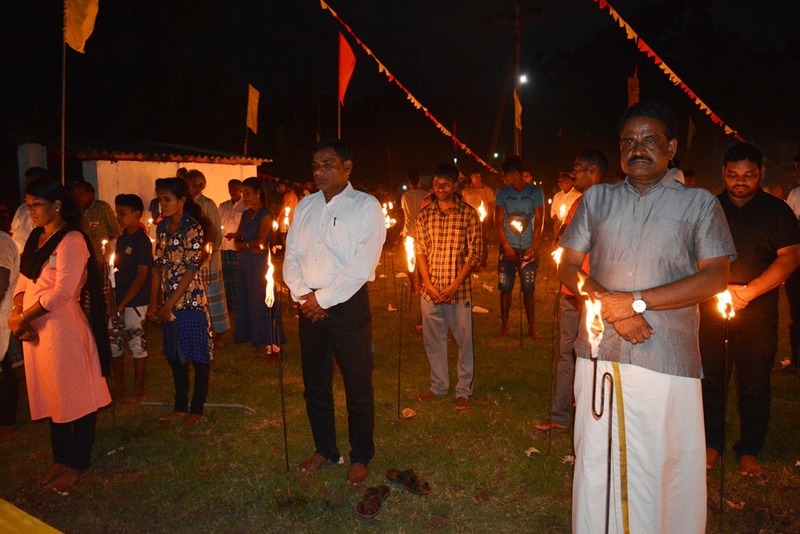 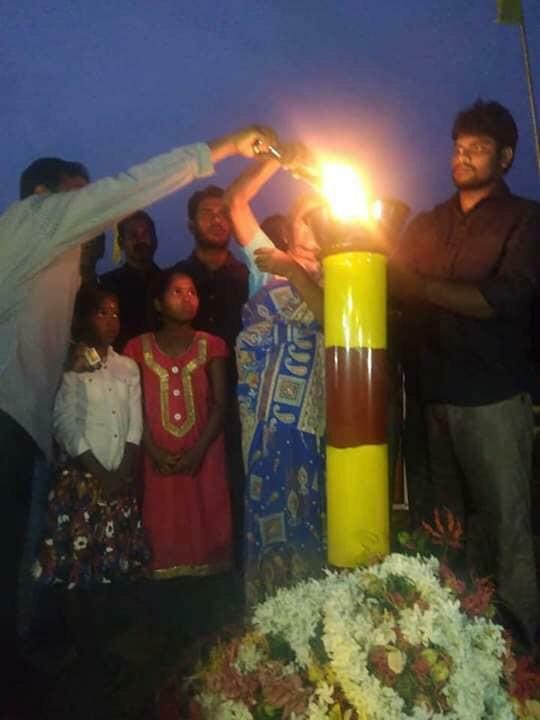 Gathering at the destroyed Maavadimunmaari Thuyilum Illam, residents and families of Maaveerar lit lamps in memory of fallen fighters. 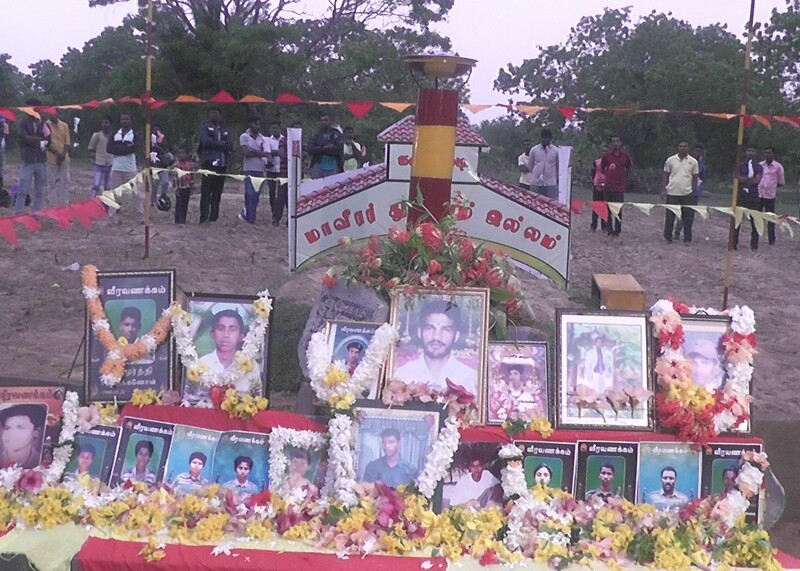 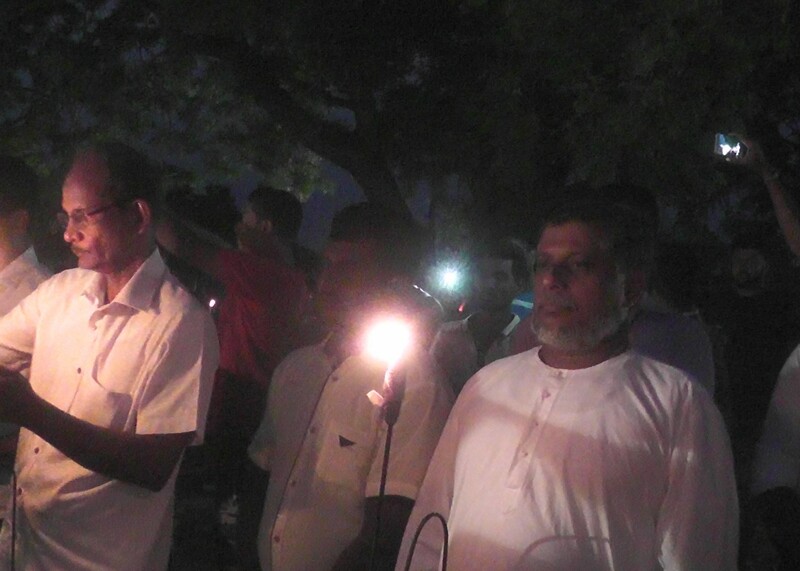 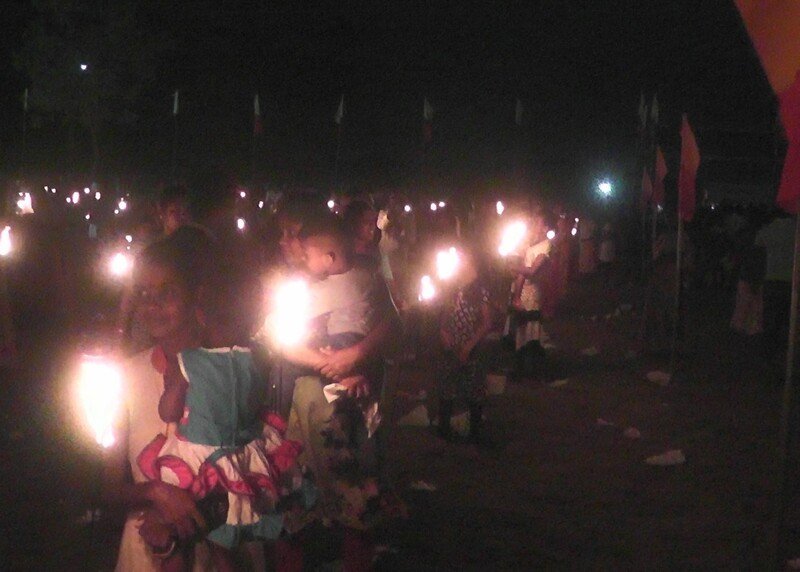 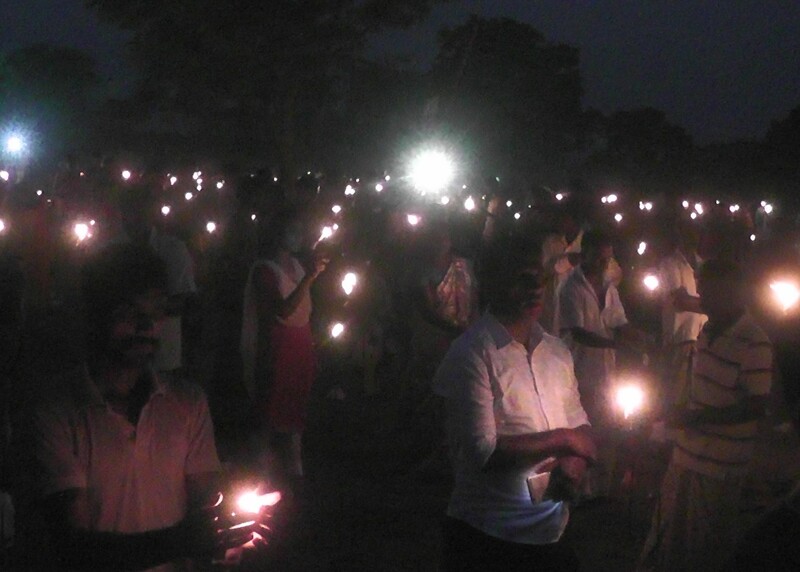 Families of Maaveerar and local residents gathered at Kandalady Thuyilum Illam in Vakarai, Batticaloa. 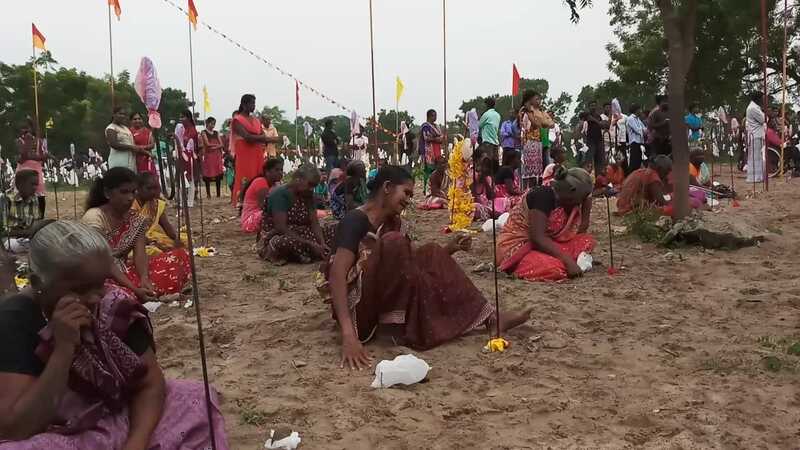 Earlier in the day state security personnel forced people who came to commemorate Maaveerar Naal at the KandaladyThuyilum Illam to remove the new headstones that had been planted in recent days. 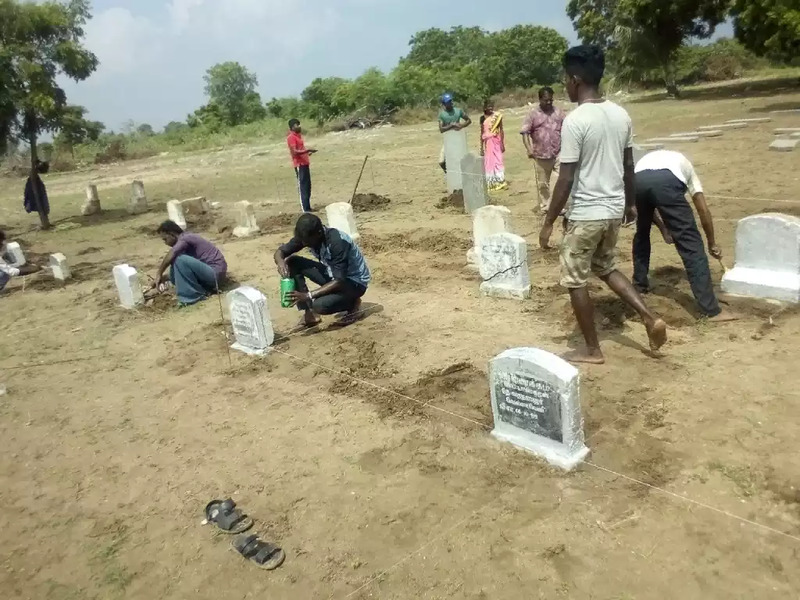 The military had destroyed the original graves in 2007. 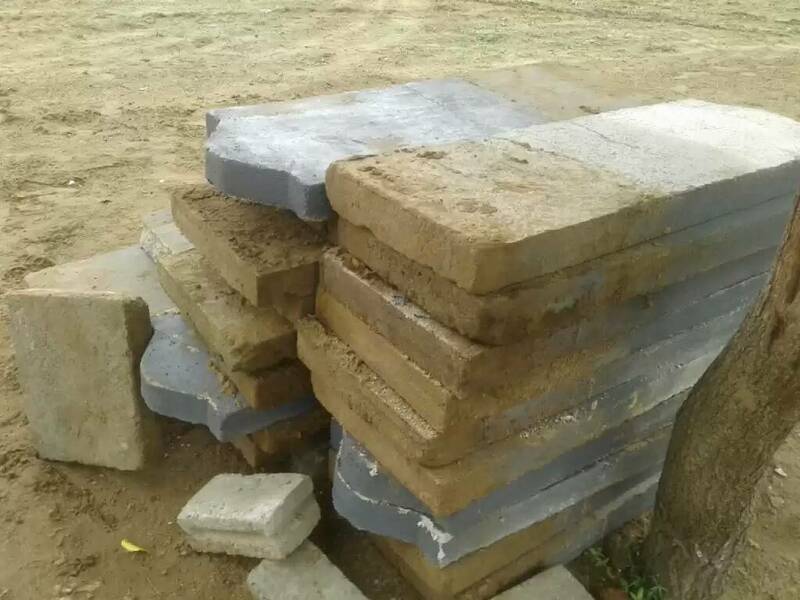 In total 120 headstones were removed, as police threatened those attending with legal action. 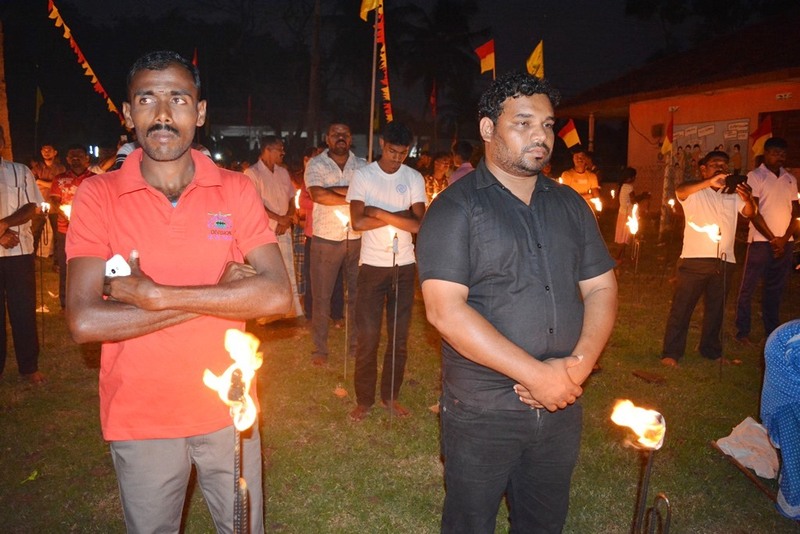 Mourners were not allowed to play the traditional remembrance song and were prohibited from putting up red and yellow flags. 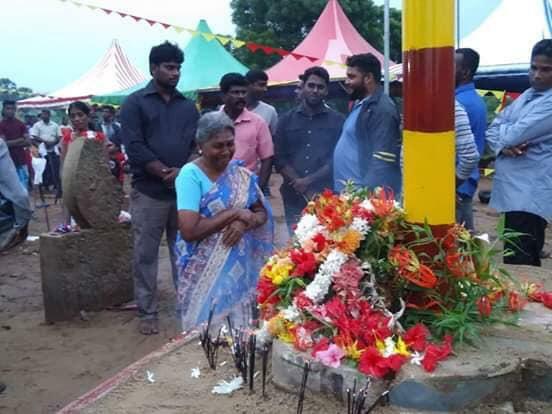 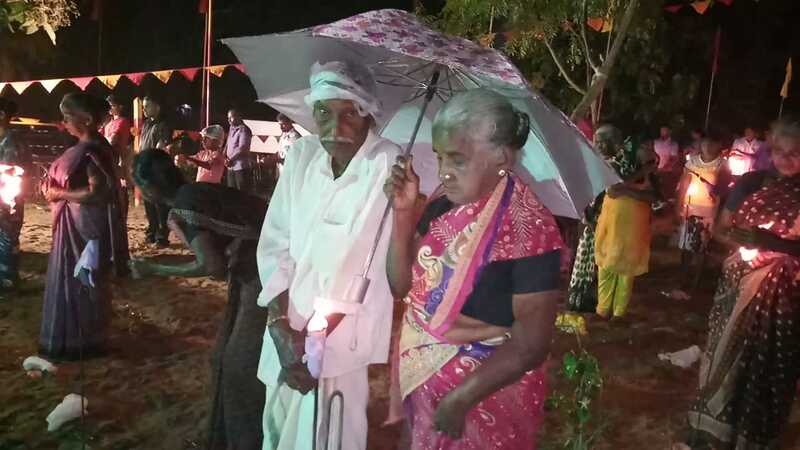 Local residents hurriedly paid their respects, not able to commemorate in peace, and rushed home as they were afraid, an attendee told the Tamil Guardian. 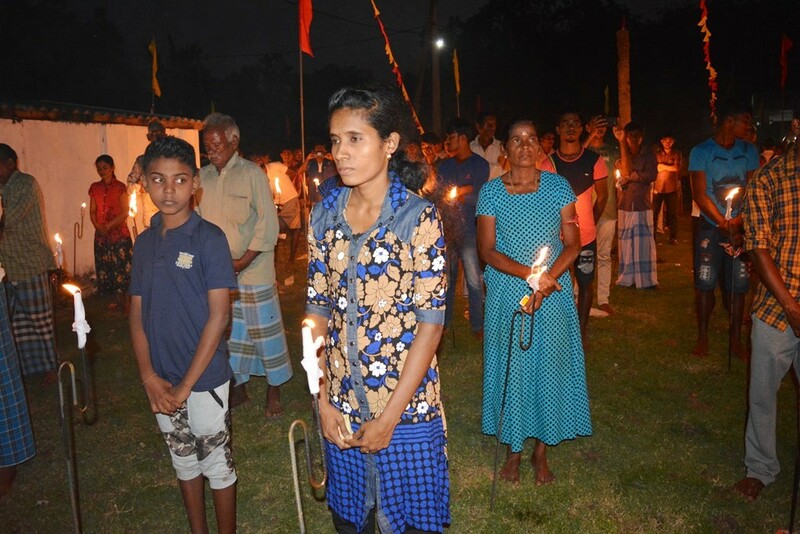 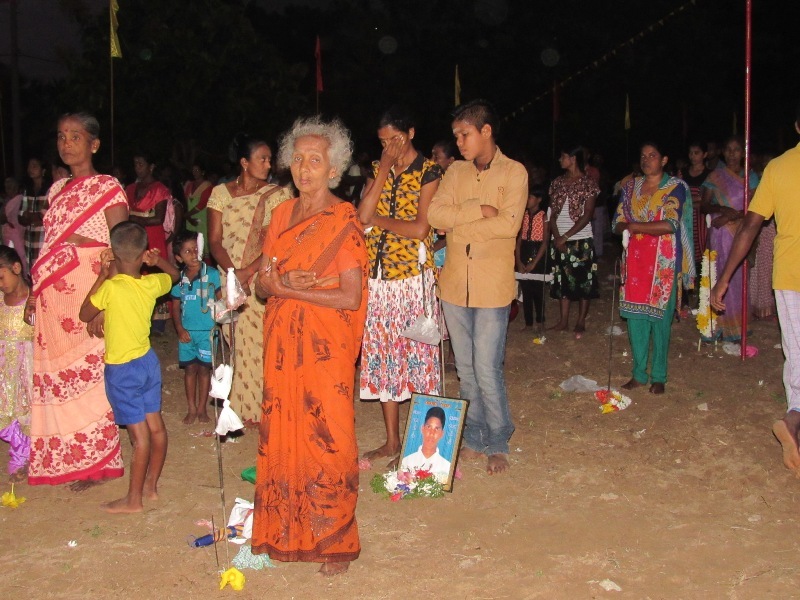 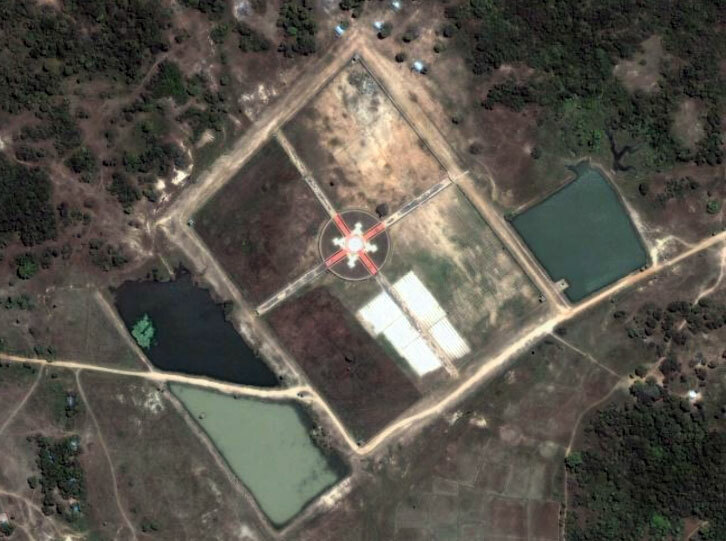 Families and residents gathered at the Tharavai Thuyilum Illam in Batticaloa, which had been previously destroyed by the Sri Lankan military in June 2007. 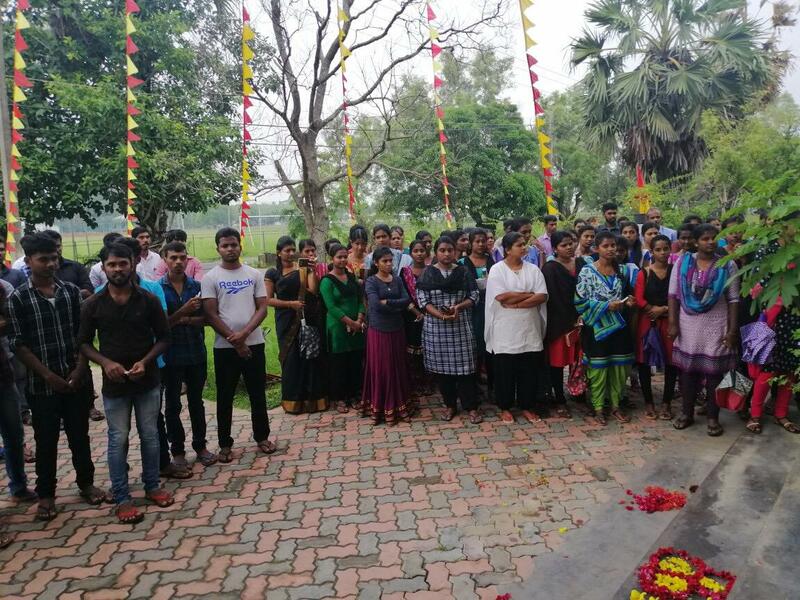 Tamil and Muslim students at the Batticaloa campus of the Eastern University commemorated Maaveerar Naal in two events, one during the day after morning lectures and another in the evening. 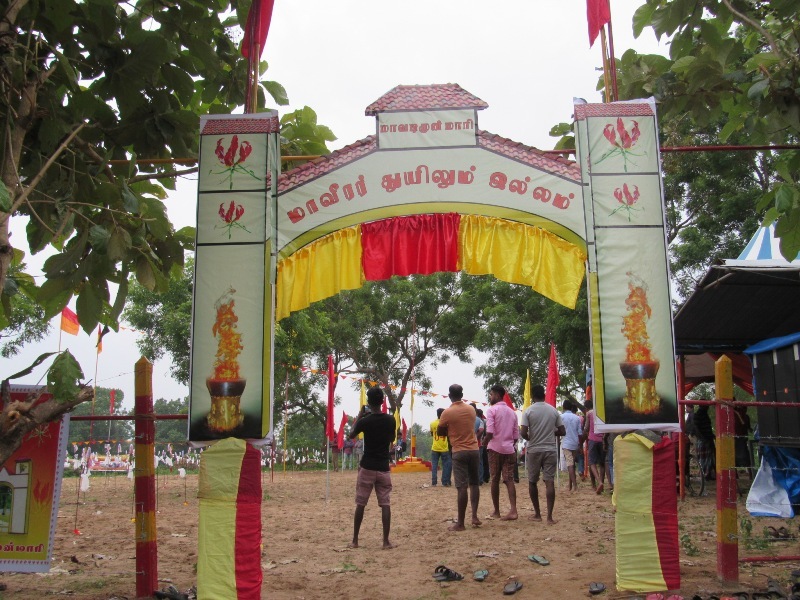 The student union of the Swami Vipulananda Institute of Aesthetic Studies organised the event in Kallady, Batticaloa.